Spring is officially underway (as of Tuesday, yippee!) and I am feeling all too happy about it. Am I the only one who gets so tired of winter during those long, cold days in January and February? Now that daylight savings time has kicked in, I feel like the bright sunny days have given me a new lease on life! 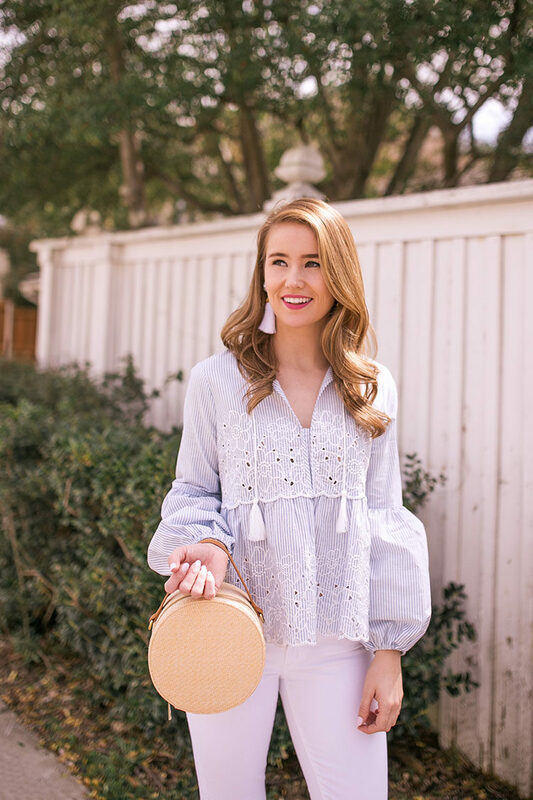 I’m celebrating by filling my closet with all things seer suckered, scalloped and summery, and this scalloped embroidered top just fits right in, doesn’t it? I love all of the gorgeous details in it, from the tassel drawstrings to the perfectly-poofed sleeves. I also have some fun news I want to share! If you’re a TCU student or live in the Fort Worth area, I’ll be speaking at a panel this evening that I’d love to invite you to! I’ll be discussing social media and blogging with a few other creatives (including my wonderful photographer Angie) from 5-7. You’ll find all the info here! 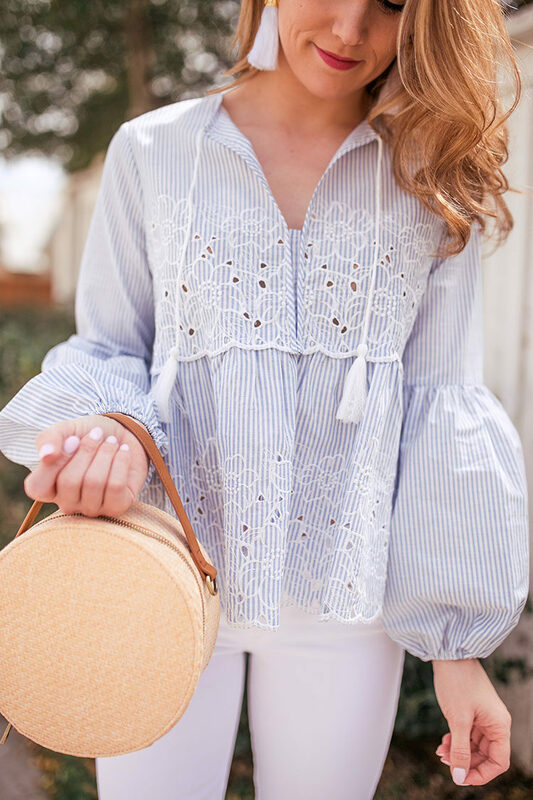 This top is so good on you – I’m loving the stripes! Such a cute look! Makes me really want warmer weather.